Coverage: Daily live commentaries on the BBC Sport website, listen to Tennis Breakfast daily from 07:00 GMT on BBC Radio 5 live sports extra and watch highlights on BBC TV and online from 19 January. 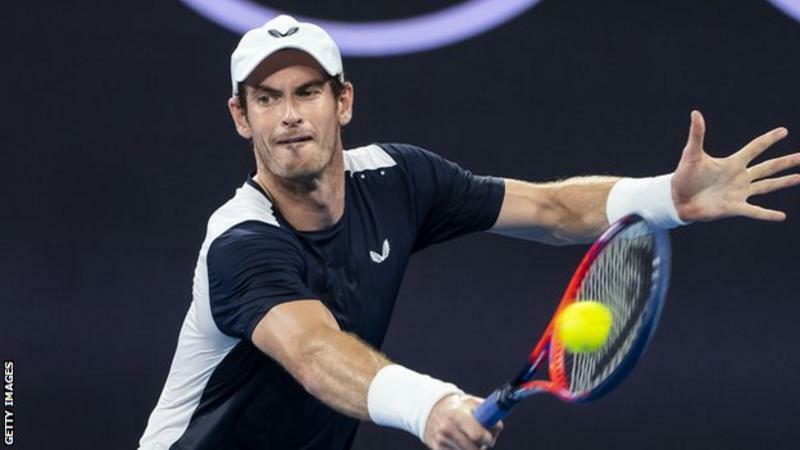 Andy Murray has criticised British tennis for failing to translate his achievements into grassroots growth in the sport at home. The 31-year-old’s future is in doubt as he contemplates further hip surgery. And the three-time Grand Slam winner believes not enough has been done by the Lawn Tennis Association to build on British success in recent years. “I’m not sure Britain has really capitalised on the last seven or eight years of success we’ve had,” he said. “Whether it be myself, my brother, Jo [Konta], Kyle [Edmund], the Davis Cup, those sorts of things, I’m not sure how much we’ve done there. Murray, who was beaten in an emotional five-set match by Spain’s Roberto Bautista Agut in the first round of the Australian Open on Monday has been at the forefront of the sport in Britain since coming through as a junior, but has been critical of the sport’s governing body on many occasions. In 2015 after Britain’s first Davis Cup victory since 1936, the Scot said talking to the LTA about the future of British tennis was “a waste of his time” and that “nothing ever gets done”. And he is concerned that when he retires, an opportunity will have been missed to grow the sport. “Maybe it’s something I should have given more thought to while I was playing but I never felt that was my job to do that,” he added. “It is a little bit disappointing. I don’t understand how in the last eight to 10 years that participation is dropping – I don’t get it. “I know in Scotland that there have not been many indoor courts built in the last 10 years. That seems madness. I don’t understand why that is. “You need to get kids playing; you need to have the facilities that allow them to do that. Murray’s older brother Jamie, who starts his Australian Open doubles campaign on Thursday, echoed his concerns about the LTA’s failures. “My greatest worry was that he would stop one day, which obviously feels like it’s been probably accelerated, and you would look around the country and there wouldn’t be much to show for it. And if you go around the country you probably see that,” he said. BBC Sport has contacted the LTA for a response.